Yes, this is the most obvious inclusion on the list, but I’m going to have to say it again. 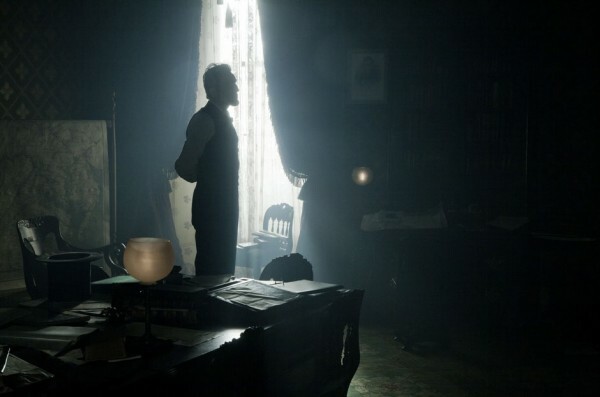 Daniel Day-Lewis was incredible as Lincoln and gave one of the most powerful performances in his great career. Chastian has really emerged as an actress in 2011 in films such as The Tree of Life and Take Shelter. In Zero Dark Thirty, she plays Maya, a cold, ruthless CIA agent determined to find Bin Laden. Chastain is simply stunning in her role. One could arguably say Phoenix’s performance wasn’t too different from his role in I’m Still Here. Whatever the case, Phoenix was fantastic as WWII veteran Freddy Quell, who gets lost in a cult. Phoenix may also be in director Paul Thomas Anderson’s next film, which I’m eager to see. Amour is such a beautiful film, and both Trintignant and Riva were at the film’s core. The two veteran actors gave emotionally powerful performances in Michael Haneke’s masterpiece. Wallis gives a committed and stunning performance as Hushpuppy. Her performance was so strong it’s hard to believe this was her first time acting. While Lawrence turned into a teen idol for her role in The Hunger Games, her best performance of the year was in director David O. Russell’s new comedy. Lawrence was funny and dry as Tina in the film and deserves much praise in her role. While Christoph Waltz was the one who took the Oscar nod, DiCaprio has the strongest performance in the film in my opinion. As the vile plantation owner Calvin Candie, DiCaprio is quite frightening on the screen and chews up every scene in the movie. There were plenty of great performances in Moonrise Kingdom, but my favorite undoubtedly is Norton’s. As Khaki Scout Master Randy Ward, Norton is hilarious and plays the role perfectly. Am I giving a performance nod to a CGI tiger? Yes. But let me just say that director Ang Lee brings the special effects to life, making the tiger look not only realistic but making its actions believable. Hoffman is one of the greatest actors of today’s generation and he brings life into cult leader Lancaster Dodd. He is domineering and demanding in his role, and gives a powerful performance. As abolitionist Thaddeus Stevens, Jones is fantastic. He convincingly plays the character and does an amazing job. And now for some honorable mentions. « What’s Your Opinion On Sequels? Yes to Richard Parker! I genuinely cared what happened to him by the end of the film, excellent choice. I also have to agree with you on Daniel Day-Lewis, it’s an obvious choice, but it’s obvious for a reason, he really was that good. Glad you agree with Richard Parker. I would say it was one of the best performances I’ve seen this year, even though it was just CGI. DDL was pretty incredible. Thanks for commenting. Great list of performances! So many of my favorites are sprinkled throughout your post. Edward Norton? Yes sir!!! Glad you agree with Edward Norton. I thought he should have gotten an Oscar nomination. My favorite supporting performance in Moonrise was from Willis but Norton was right behind. Dude, he had me laughing every time I saw him. Great performance!! Awesome to see Leonardo here! Norton’s performance was one of the few things I liked in Moonrise Kingdom, he really impressed me in this movie. DiCaprio was great in Django and he was robbed by the Oscars. Norton was fantastic as well. Thanks for commenting. Great post! My number one would have to be Emmanuelle Riva in Amour, such a brave and moving performance. Riva was fantastic in Amour. I would love to see her or Jessica Chastain take the Oscar. Thanks for commenting. Thats a great list…. I still need to see the Master. DDL was spectacular in Lincoln, which I saw this weekend. However, I was not that impressed with the film as a whole. Thanks! The Master is a great film. Sorry you didn’t love Lincoln, but DDL was fantastic. Thanks! Unfortunately, I haven’t seen Rust and Bone yet (I also still need to see Holy Motors and Once Upon a Time in Anatolia). Ah well hopefully you will enjoy it, it may be my favorite of last year’s films. It’s in the top 5 for sure. Can’t argue with any here. The fact that they make it on your list (placing in top 10 or in H.M.) speaks volumes and I agree with your choices. Oh, I meant to add Michael Fassbender onto my list of honorable mentions but forgot to do so. I haven’t seen The Perks of Being A Wallflower or The Impossible yet unfortunately. Thanks for commenting.